This iconic program has shown millions of men and women the transformative power of lifting weights and eating right. It's hard work, but the rewards are life-changing! Join All Access today and get access to Livefit PLUS over 60 other expert-designed fitness plans. This comprehensive plan will help you lose weight, build shapely muscle, and take your health and energy where they've never been. Start at your level, let Jamie's daily videos guide you, and watch your body transform! Some days, you just can't get to the gym no matter what. LiveFit has workouts designed for just those days, with video guidance from Jamie. These can make all the difference! If you like what you eat, you'll enjoy the meal plan and stick to it. Jamie's famous recipes and approved foods are as delicious as they are nutritious! And her approach to supplementation is simple, easy to follow, and effective! The world's fittest model, personal trainer, and figure pro. You’ll be able to track your workouts, nail your nutrition plan, stock up on supps, and get fit on the go. Jamie Eason's LiveFit has changed thousands of lives. Here's what those who followed it have to say. This plan was my first true attempt at lifting heavier weights and venturing into the weight room to do things I have never done before. The result? I love weight training! I lost 9 pounds and a lot of body fat. I followed the diet and workout and was not even that strict! I started out at 134 and went down to 126! See what All Access has to offer. Start Jamie Eason's LiveFit 12-Week Trainer for FREE today! Join All Access today to unlock the app for this fitness plan, and many others, in the Apple and Google Play stores! You’ll be able to track your workouts, nail your nutrition plan, stock up on supps, and get fit on the go. Stackable 5% everyday discount in the Bodybuilding.com store. 50+ expert-designed fitness plans with more launching all the time. Daily workout plans with detailed video instructions. Nutrition guides, healthy meal plans, and simple recipes. Try FREE and cancel anytime. After expiration of your free trial period, you will automatically be charged the subscription fee plus applicable taxes based on your choice above. You can cancel at any time from your Account Subscription. By clicking "Start Your Free Trial", you agree to our All Access Terms and Conditions, and authorize this recurring charge. Stackable 10% everyday discount in the Bodybuilding.com store. After expiration of your free trial period, you will automatically be charged the subscription fee plus applicable taxes based on your choice above. You can cancel at any time from your Account Subscription. By clicking "Start My Free Trial", you agree to our All Access Terms and Conditions, and authorize this recurring charge. Get 2 months FREE, save $17.89!  Start Jamie Eason's LiveFit 12-Week Trainer today! See what All Access members love.